The US sprint corp has been aging for some time now. The world has been mourning the retirement of Usain Bolt, but the truth is that America’s best for more than a decade are right behind him. 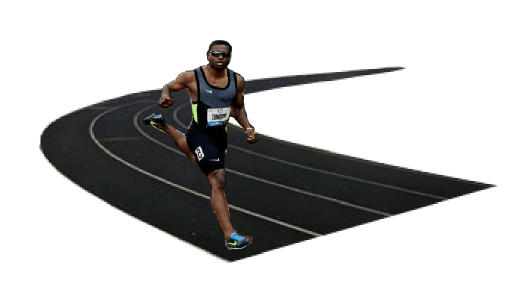 Consider that our top sprinter last year, World Champion Justin Gatlin, was 25 years old. Remarkably his title came 13 years after his Olympic title in Athens! Our global medal hopes have been in the hands of Gatlin, Allyson Felix, Tyson Gay, LaShawn Merritt, Sanya Richards Ross, Wallace Spearmon, and a few others for well over a decade. Begging the question, what happens when they retire? Don’t get me wrong, we’ve had athletes attempt to step up to full the void. Tori Bowie emerged just as Carmelita Jeter ended her career. And Trayvon Bromell medalled in the 100 in 2015. Though injuries have placed a question mark over him since. These kids are ready to medal at Worlds and the Olympics right now! No offense to the “Old Guard” of American sprinting/hurdling but write down the above names, because these kids are going to bring home the medals that we’ve been “allowing” others to take home for several majors now. This may sound a tad cocky, but in the next championship cycle, the US will return to its rightful place as the world’s leading sprint/hurdle nation. Medals we’ve lost in events like the 200, 4×1, and high hurdles, that drought is going to be rendered history. This entry was posted on Saturday, July 7th, 2018 at 1:23 pm, by CHill. You can follow any responses to this entry through the RSS 2.0 feed. You can leave a response, or trackback from your own site.